Burn Atlas possess a talent for songwriting. The EP’s main theme seems to be—at least in two out of the three songs—a post-apocalyptic world that has reached its poor state through capital greed, negligence of the environment and ruthless killings of other human beings. The second track, “California Smoke,” does a good job of encompassing the perils of corporate greed and the effects it can and has had on the environment. While the song describes California, it is very applicable to Salt Lake City during the winter. 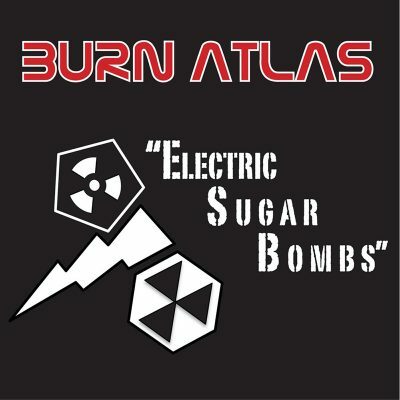 Burn Atlas throw together some lyrical content that clearly has a central theme well, and they also do a great job of composing music around it. The first song, “Desert Skies,” has a bridge that can only be developed by a band that has chemistry and a bond that supersedes anything they do as musicians. The last song on the EP, “Fruit Smoothie (320),” seems to be an ode to the ’80s glam band Warrant, specifically their song “Cherry Pie.” The song centers on an objection of the singer’s obsession. Certain lyrics, like “You’re the sweetest girl in my candy world / so why don’t you say we give it a swirl,” remind a bit of why some might be glad that the ’80s are over.